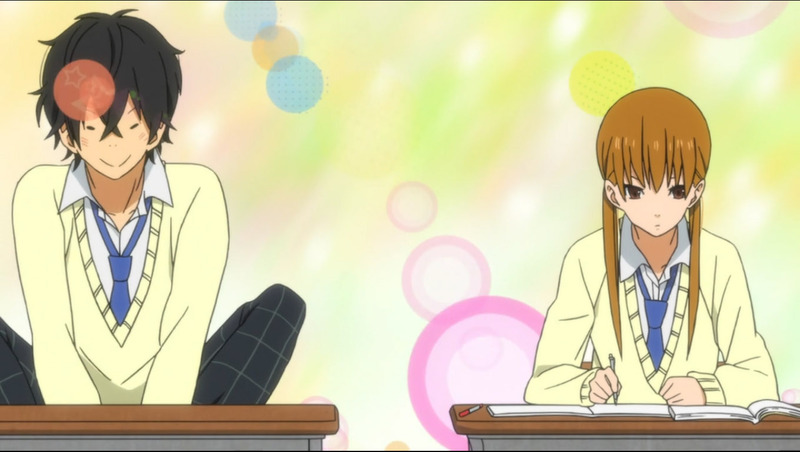 “Tonari no Kaibutsu-kun” starts with the narration from a quiet bookworm and study-addict Mizutani Shizuku. Having been the top student as far as she remembers, Shizuku has a firm goal in mind, which is, to get a job with ten million yen salary per year. So far she has eschewed any effort to develop friendships in favor of the studying she feels is necessary to pursue that goal. She wants nothing more than to be left alone to study. Her quiet, somewhat anti-social life starts to shake hard after she’s asked to bring some printouts to a classmate who’s been absent since the opening ceremony. The case is as usual, where the guy’s gotten himself involved in some violence and thus, is suspended. This is how she meets with Yoshida Haru. Following her successfully handing printouts to Haru, the latest task given to Shizuku is even more daunting and challenging. She has to persuade Haru to come back to school, since the suspension has ended. Upon completing her task, Shizuku unwittingly comes to learn the side of Haru that nobody in school has ever realized before. The guy is a wild beast on the surface who’s prone to violence at the drop of a hat, but he’s in fact a very nice, gentle guy with no social skills who wants nothing more than to make friends and enjoy school life. Shizuku gets involved further with Haru when she can’t stand how his supposedly ‘friends’ turn out to be money-grubbing bunch. 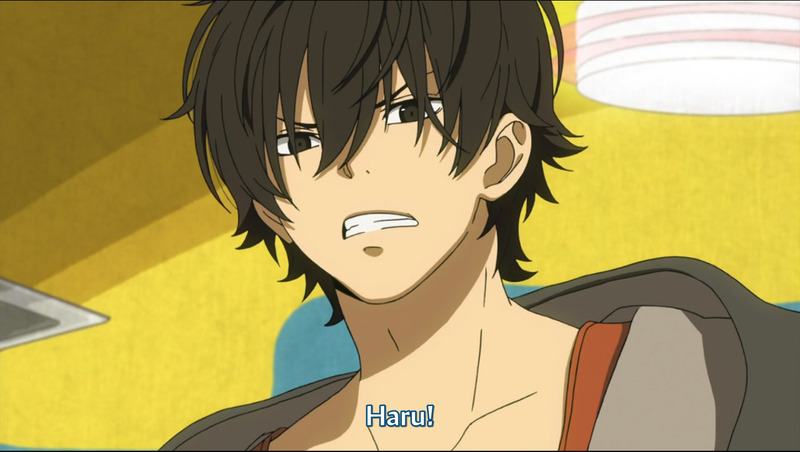 After Haru learns the bitter truth from Shizuku and falls hard, they become a bit closer. 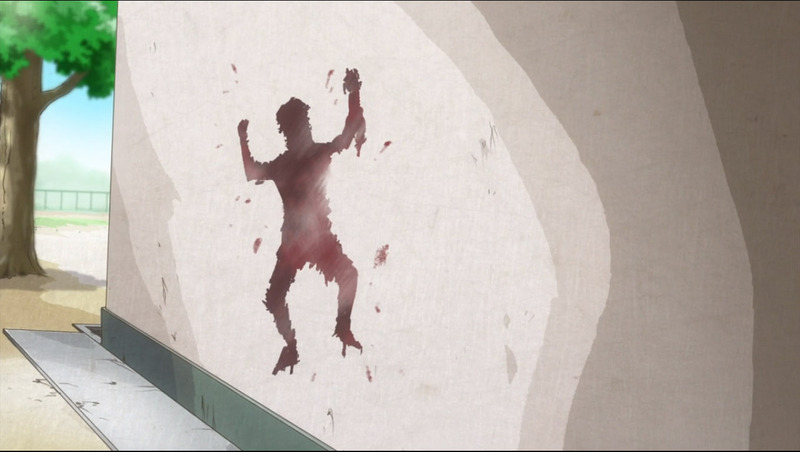 The mad dog then starts to go to school and makes Shizuku’s tranquil life shatter into pieces. Now, the both of them are in for a roller-coaster-like high school life and romance. The story with such shoujoish concept is not new, however “Tonari no Kaibutsu-kun’ does an exceptionally very good job with it. 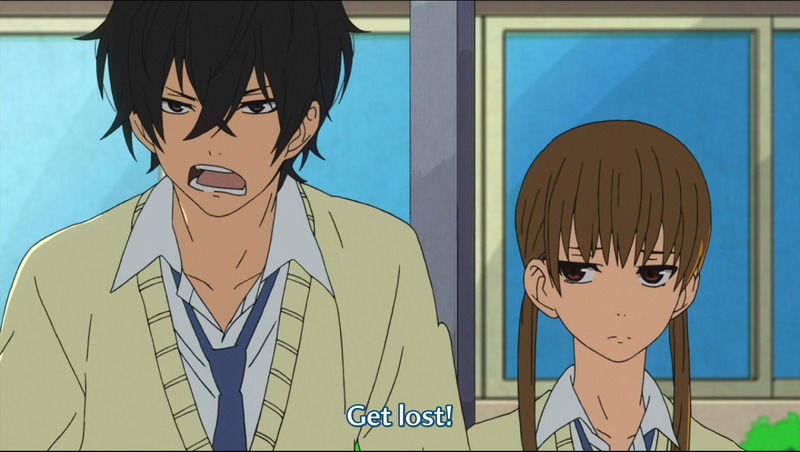 At the core of the fast-paced story is the odd, sometimes sweet but mostly highly entertaining and funny relationship between the two main leads: Shizuku and Haru. The reputed ‘mad dog’ has crazy mood swings; he can get angry and goes all wild over the smallest spark, and the next second we find him become so happy over the silliest things. He’s also very soft and innocent at times. After the two become friends, Haru’s insecurities about being disliked lead to amusingly clingy behavior: he follows Shizuku around like a stalker, wanting to do stuff with her like how friends are supposed to be, but can’t stop himself from beating up others at every imagined slight. 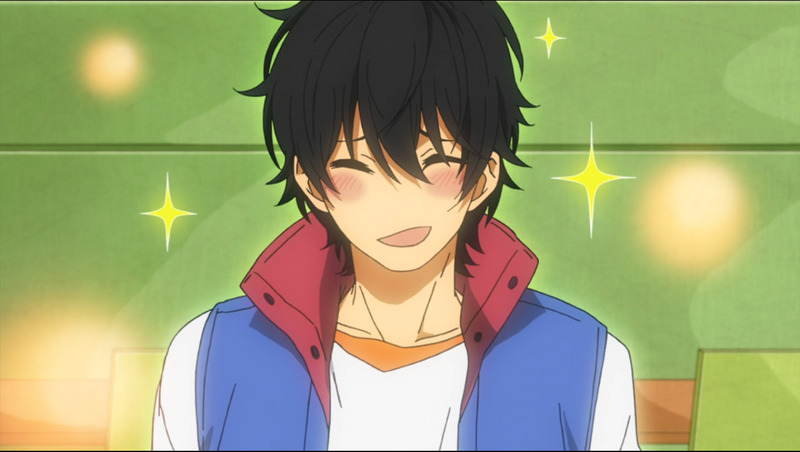 He turns into even more of a hilarious wreck when he reads a romance novel for advice on how to treat girls (he even nonchalantly asks the teacher about that in the middle of class, much to Shizuku’s headache). 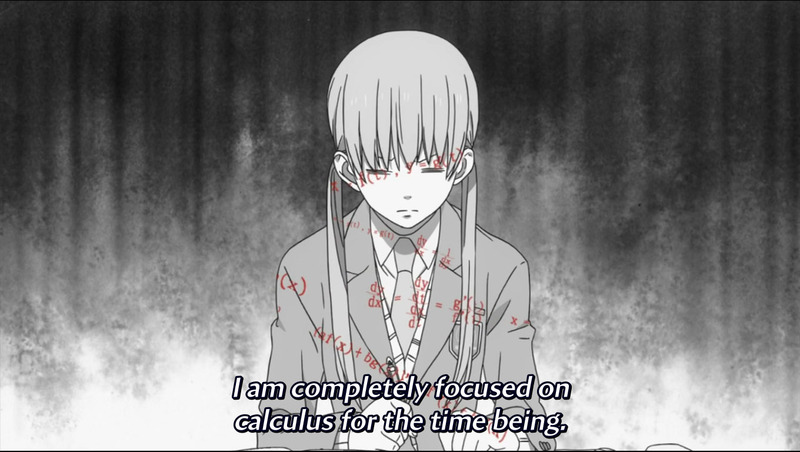 Shizuku herself is not better off than Haru. She’s so devoted to study that she actually doesn’t have any friends, and to top it off, she also comes across to others as an icy-cold persona. As a result, she’s got enough backbone to tame and straighten the uncontrollable Haru. The two, which are gifted with unique personalities and don’t know left or right in terms of a proper social life turn out great as a couple. They brighten each other’s depth and bringing out the best in their deeply flawed partner. 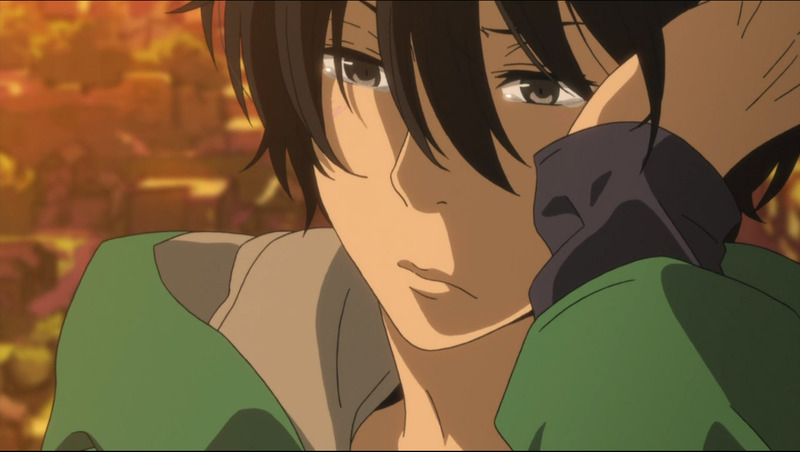 The show has its touching moment too, especially when Shizuku witnesses Haru’s vulnerability and gets confused as to why she seems to be able to show compassion to him, something that has never happened before (the episode effectively gives us a flashback in which Shizuku, who’s in elementary school, didn’t show any emotion towards the dead body of a rabbit that’s been taken care of together by her classmates. Instead she asked the teacher to go home because she wanted to work on her homework). With vivid colors, fairly detailed character designs and simple animation, the evolution of Shizuku and Haru’s relationship certainly promises a hilarious, deeply engrossing ride with occasional emotional heft. Good times ahead are for sure. P.S. : I happen to have read the manga up until volume six; it’s addictive!